Leading power and automation technology group ABB has been awarded a $52 million contract by Changan Ford to boost the flexibility and efficiency of the carmaker’s new production facility in Harbin, China. 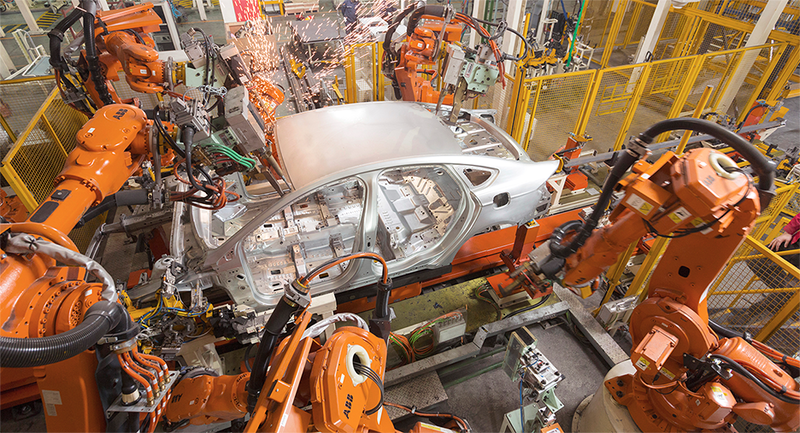 ABB, whose robots have been used successfully across Changan Ford’s major automobile production facilities in China since 2007, will provide the IRB 6700 and IRB 7600 for the company’s new highly-automated “Body in White” welding production line which will manufacture Ford’s new Focus model. The IRB 6700 is a large industrial robot that was introduced to the market in 2013. Compared to its predecessor, the IRB 6700 is more robust, more efficient and easier to maintain, which makes it the highest performing robot for the lowest total cost of ownership in the 150-300 kg class. Changan Ford’s order also includes ABB’s GateFramer car body framing positioning system capable of producing up to six vehicle models on the same line, comprehensive and advanced Body-in-White solutions – including a flexible car body conveying system and laser welding system – as well as the robotic Roller Hemming system which is used for the production of the vehicles’ four doors and roof. “Changan Ford and ABB have a longstanding relationship, and we are pleased to see ABB’s solid reputation for providing outstanding and reliable technology and excellent project management capabilities gain customer recognition once again,” said Pekka Tiitinen, president of ABB’s Discrete Automation and Motion division. 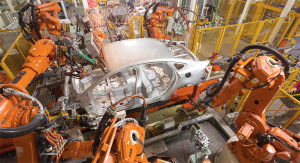 ABB’s industrial robot technologies cover the entire automobile production process, including stamping, Body in White, painting, and powertrains. The company’s automobile customers include international automakers such as BMW, Honda, Volvo and Great Wall Automobile. ABB’s robotics division also provides robot software, peripheral equipment, modular manufacturing cells and service for tasks such as welding, handling, assembly, painting and finishing, picking, packing, palletising and machine tending. Aside from the automotive industry, ABB’s key markets include plastics, metal fabrication, foundry, electronics, machine tools, pharmaceutical and food and beverage industries.